Home / avida / Ayala Property Management Corporation / ayala triangle garden / becky's kitchen / condominium / cultural center of the philippines / investment / manila bay / pasay city / prime / property / taft / taft avenue / A Race to Prime: The Avida Towers Prime Taft Race Challenge! A Race to Prime: The Avida Towers Prime Taft Race Challenge! It was one tiring but really fun afternoon for me and to the rest of bloggers who were invited to the the Avida Towers Prime Taft race challenge. With an aim to see the beauty of Pasay City, where this soon-to-be- beautiful skyscraper is located, the Avida Towers Prime Taft let us experience first-hand the goodness of having a home along Taft Avenue. From the delicious food to the wonderful spots that make our country proud, this is one challenge worth loving! A few days ago, together with 6 other bloggers in our team, I run, skipped, ate and took pictures of some of the beautiful spots that you can see in the northern part of Pasay City. From the churches, school and food finds, we were able to experience these beautiful spot waiting to be discovered by the soon-to-be homeowners of the soon-to-be Avida condominium here in Taft Avenue. Our race started at the model units of Avida Towers Prime Taft, where we got to see the Studio, One Bedroom and Two- Bedroom units that they are offering. Designed and crafted by Avida for the live-work-play lifestyle of students, young professionals and entrepreneurs, these units will definitely steal your heart primarily because of it stunning location and amenities. Since I always pass by this area, living in Manila and working in Makati, I honestly didn't taught how convenient this place is until we race in this contest. And our first stop, just a few steps away from Avida Towers Prime Taft, the San Isidro Labrador Parish Church. Roman Catholics like me wouldn't have a hard time visiting the church since this church is just across the street. With such a pleasant interior, family gatherings like wedding, baptismal and the likes are most likely convenient if ever you live here in Avida Towers Prime Taft. 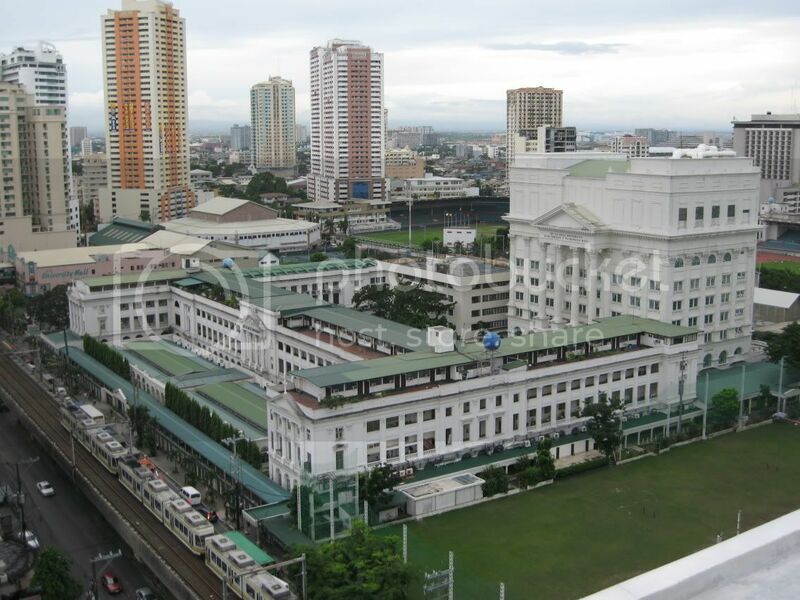 Our next destination was the most famous structure along Taft Avenue, the De La Salle University. Just about 3 minutes away from Avida Towers Prime Taft, schools as well as fast food chains will come handy once you live in Avida Towers Prime Taft. If I remember it right, we were told that Avida will provide free shuttle rides to all residents of Avida Towers Prime Taft to and from DLSU. Lucky people! For something sweet and delicious, one of my favorite store in the metropolis, which is also just around the block, the Becky's Kitchen is ready to share baked goodness in the area! Their cakes and brownies are heavenly good, but that time we just had their choco crinkles, which are equally lovely! How I wish this foodie spot is also my neighbor! Hahaha! Avida Towers Prime Taft is just a few minutes away from the lovely breakwater of Manila Bay and the historical Cultural Center of the Philippines. Breakwater is also the port area for the Sun Cruises Cruising LIne, which travels from Manila to Corregidor. So, if you want a break away from the busy city, well, that'll be so easy for Avida Towers Prime Taft residence. In case of emergency, well a hospital is also available nearby. The Manila Adventist Medical Center and Colleges is just at the back of Avida Towers Prime Taft, so there's really nothing to worry. When we asked about the drainage issue around the area, the marketing team that joined us that afternoon happily said that it was one of the top priorities when they started building the Avida Towers Prime Taft, so, yeah, no or less flood in and around the area plus the spot where Avida Towers Prime Taft is located was elevated to make sure that all residence are safe during calamities. Lastly, for those who are working in Makati or just wanna spend some leisure walk as well as eating international cuisine, Ayala Triangle Garden is only 15 minutes away, so yeah, eat your heart out! Hahaha! Keeping that Avida condominium signature, Avida Towers Prime Taft units are built with free-flowing air and sunlight, fewer units per floor, sensible amenities, emergency power in common areas and inside residential units, and easy payment terms. Avida Towers Prime Taft’s strategic location also offers a great business opportunity for homebuyers and investors. With the assistance of Leasing Services by Avida (LSA), homeowners can make their units income-generating by having them leased out to students, employees, entrepreneurs, and other individuals or families who want to enjoy the wonders of the A+ life in the comfort, convenience and security of an Avida property. The project will also be managed and maintained by the Ayala Property Management Corp., the same group that implements quality standards among all Ayala properties. So if you want more information on Avida Towers Prime Taft and Avida’s condominiums, you can visit www.avidaland.com or you may call +632 848 5200 (within Metro Manila) and 1-800-10 848 5200 (outside Metro Manila). Oh, it was a winning afternoon for us since our team came in place. And after realizing all of these amazing treat in and around the property, I can help but to get envy to the soon homeowners of this prime investment. Thank you and congratulations, Avida Towers Prime Taft! Best wishes to all homeowners!